(TriceEdneyWire.com) – Fraternal twins Kimberly Ketter and Shaun Rivers share a deep faith and a desire to help others. And they aspire to live life to its fullest. As ambassadors, “we accept the responsibility to teach others at the local and national level how to recognize the symptoms of heart failure, to offer support through the Rise Above Heart Failure online network and to share with our own communities that they can live with heart disease,” Rivers said. Ketter said she first suspected something was wrong in May 2009, when she became short of breath and fatigued after walking up the steps at her home. “My heartbeat wasn’t contracting as it should,” Ketter recalled. Concerned that the condition might be genetic, Ketter encouraged her sister to get tested. Two weeks later, Rivers also was diagnosed with heart failure. Research, Rivers said, shows that African Americans experience almost double the rate of heart failure as others. Some of that she attributes to hypertension and high-cholesterol diets. The siblings ascribe much of their success in living with heart failure to their faith in God. The women said they have slowed a bit in pursuing their busy daily schedules. It’s difficult to see that when one looks at their nearly nonstop efforts to help others and live a full life. Ketter is a nurse practitioner. Rivers is an advanced diabetes clinical nurse specialist. Last fall, they opened Case Management Associates in Petersburg, a diabetes wellness center. 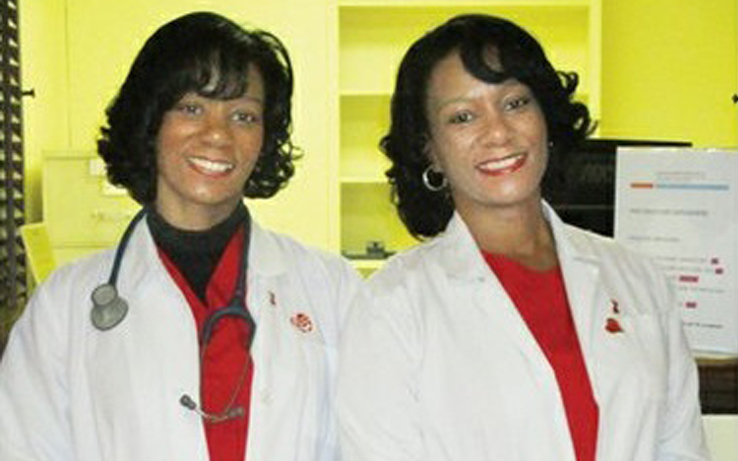 They are also diabetes program coordinators at the Vernon J. Harris Medical Center in Richmond’s East End. They lead a health ministry at St. Paul’s Baptist Church in Henrico County, where they worship and work with church leaders to educate congregants on healthy eating habits and to offer healthy food choices at the church. The siblings are active in the AHA’s Empowered to Serve initiative that aims to improve health in multicultural communities by partnering with faith-based organizations. “Once we got past the initial shock of knowing we had heart failure, we thought, ‘What can we do to help other people who might face the same thing?’’’ Ketter said. For those who might experience some of the symptoms of heart failure, which include shortness of breath, excessive fatigue and leg swelling, Rivers offered the following advice.